Van Veen Chocolates are more than just the world famous pecan stukjes (“little piece” in Dutch), peanut clusters, and meltaways. The caramels are amazing, as well as Van Veen’s special butter toffee. 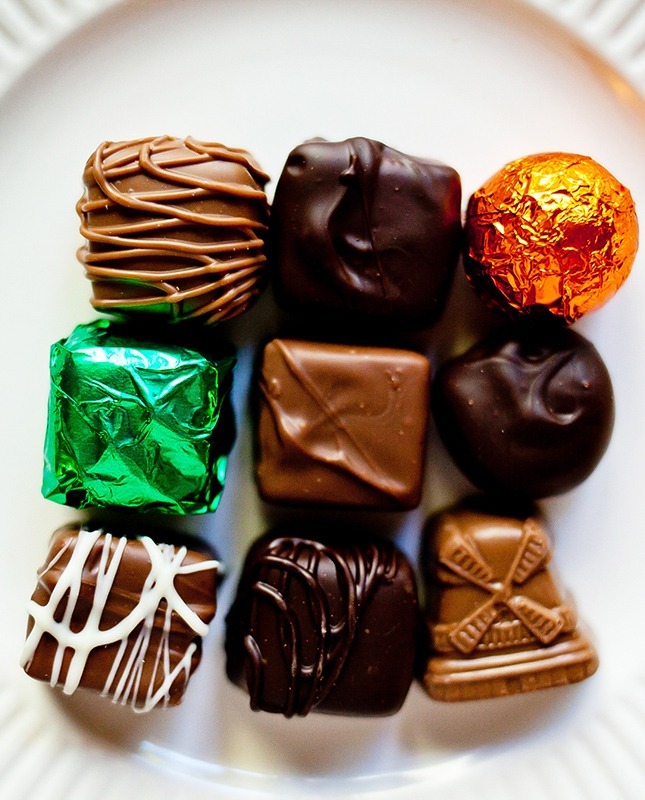 Boxes of chocolates can be packaged and shipped all over the continental United States. Just contact us for more information on packaging options and shipping costs. And what some of our “biggest fans” can’t get enough of…the Caramel, Toffee and Cookie Butter Krispies! Other flavors available including mint, caramel pecan, and changing seasonally! Clusters can be purchased with pecans or cashews, and ask about our special versions, including one without chocolate! You can surely guess that for a family business whose story began with peanut brittle, there is a lot more than just chocolate to enjoy! From our own personal creations, like Dutch Crunch, to classic home-made caramels, there’s something for everyone. Let us be your first responder!